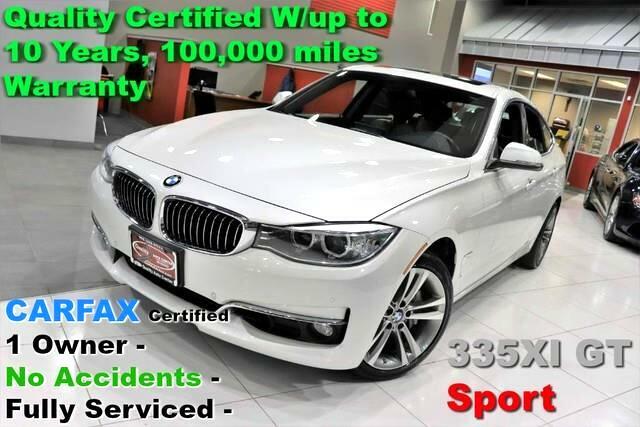 Quality Auto Center is excited to offer this 2016 BMW 3 Series Gran Turismo. Put performance, safety, beauty, sophistication and all the right amenities into a car, and here it is! Now you can own luxury without the luxury price tag! This BMW 3 Series Gran Turismo is equipped with AWD for improved handling. Whether you're faced with inclement weather or just out enjoying the twisting back road, you'll have the grip of AWD on your side. This is about the time when you're saying it is too good to be true, and let us be the one's to tell you, it is absolutely true. More information about the 2016 BMW 3 Series Gran Turismo: BMW has always produced top-tier sport sedans, coupes and wagons, and the 3-Series Gran Turismo creates a new class of practicality and performance from European cars. The GT is impressive for both its athleticism and its utility: It boasts a 0-60 mph time of just 5.1 seconds and near-perfect weight distribution front to rear it also features a longer wheelbase than the 3-Series sedan or wagon, which makes for more rear-seat legroom and additional cargo volume -- a total of 56.5 cubic feet, which is more than the carrying capacity of the 3-Series wagon. The car's handy split fold-down through-load rear seats make carrying bulkier items a snap. Interesting features of this model are smooth power delivery, interior comfort, impressive utility, Standard features, athletic handling, and high-tech options No Credit / Bad Credit / No Paystubs, No problem !! ! All Approved ! Everyone drives ! CLEAN, GORGEOUS, LOW MILES, SHOWROOM CONDITION. CALL NOW QUALITY CERTIFIED up to 10 YEARS 100,000 MILE WARRANTY , To Certify a vehicle, there will be an additional cost for Certification. CALL NOW For details. STUNNING AGGRESSIVE LOOK ON THIS BEAUTIFUL--Call today to schedule a test drive... Good Credit/Bad Credit/No problem!!!! Get paid cash? No problem!! 100% Credit Approval with interest rates starting at 2.49% for qualified customers, our rates will not be beaten. We price our cars at wholesale price to guarantee the best deals for our customers. Our inventory moves quick, please call to confirm the availability of the vehicle of your interest Springfield location 973-564-0112. This vehicle is located at our SPRINGFIELD location. Come visit our new showroom in Springfield NJ.